Fincantieri's Ancona shipyard has delivered Viking Jupiter, the sixth in a series of 930-passenger ships for Viking Cruises.The delivery ceremony took place this morning when the ship was presented at Fincantieri's shipyard in Ancona, Italy.On February 16, Viking Jupiter will be the first in Viking's fleet to sail the Journey to Antiquities itinerary, a new itinerary sailing between Athens and Rome offering guests the chance to experience the Mediterranean during the quiet season.During its maiden season, Viking Jupiter will sail itineraries throughout the Mediterranean and then Scandinavia. Viking Cruises has announced a new agreement with Fincantieri that could see the delivery of six additional ocean ships by 2027. The new understanding expands Viking's partnership with Fincantieri, raising the company's total ocean ship order and options to 16 – the highest-ever for a shipyard from a single owner. The agreement for the six additional ships, which will be delivered in 2024, 2025, 2026 and 2027, is subject to specific conditions. "When we launched our first ocean ship in 2015, we set out to reinvent ocean cruising. 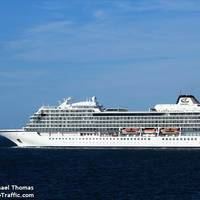 Viking Ocean Cruises made its first ever call on a U.S. port when Viking Star docked at Cruiseport Boston. Viking Star began her voyage in Montreal, travelled the St. Lawrence River to Quebec City and Saguenay, continued on to Prince Edward Island and Halifax and, following her stop in Boston, will continue on to New York City later in the week. Officials from Massport and Viking marked the occasion with a traditional plaque and key exchange on board Viking Star while docked at the Cruiseport. “As Cruiseport Boston continues this exciting period of growth, we are thrilled to welcome Viking Ocean Cruises and to offer their passengers the opportunity to explore Boston and the Commonwealth,” said Lisa Wieland, Massport’s Port Director. 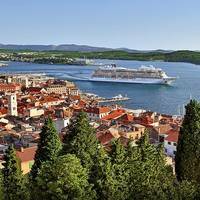 Viking Ocean Cruises has announced its second ship—the 930-passenger Viking Sea —was floated out from Fincantieri’s Ancona shipyard, marking a major construction milestone and the first time that the new ship touches water. Viking marked the occasion with a traditional ceremony at Fincantieri’s Ancona shipyard, where the ship is under construction. Karine Hagen, Viking’s senior vice president of product and daughter of Torstein Hagen, will be godmother to Viking Sea and will officially “name” the ship during the christening ceremony in early 2016. “Viking Sea”, the second of three ships which Fincantieri is currently building for the company Viking Ocean Cruises, was launched today at Fincantieri’s shipyard in Ancona. Interior fittings will now begin, leading the ship to its delivery scheduled in spring 2016. “Viking Star”, the first sister ship, has been delivered in March: Fincantieri is already working on “Viking Sky”, the third unit of the agreement, that will be delivered as well in the shipyard in Ancona at the beginning of 2017. With Viking Ocean Cruises officially has its first cruise ship, the group has embraced a new strategy intended to split its growth more evenly between river and ocean cruising. “Viking Star”, the first of three cruise ships which Fincantieri is currently building for Viking, was presented today at Marghera shipyard. 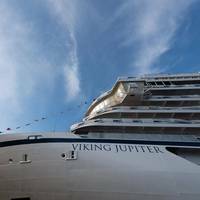 The other two sister ships are “Viking Sea” and “Viking Sky”, the company said in its press release. The ceremony was attended by Torstein Hagen, founder and chairman of Viking Cruises, while Fincantieri was represented, among others, by Giuseppe Bono, CEO. 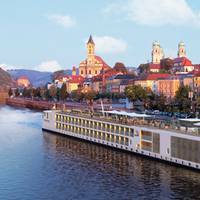 There is no question that Viking Ocean Cruises is launching an exceptionally innovative series of new ocean-going vessels, layered on its successful series of river cruise vessels, notably the Viking Longships. This list of innovations is a long one, and I’ll have more details about the 930-passenger Viking Star as she approaches her launch in April. Meantime, you’ll find some of the highlights at the bottom of this post. The vessel completed sea trials recently, and as Viking is prone to do, the sea trials were documented in a television-like featurette, which you can view below. Viking Cruises say that the keel has been ceremonially laid at Fincantieri's Marghera shipyard outside Venice, Italy, for its first ocean cruise vessel, 'Viking Star'. 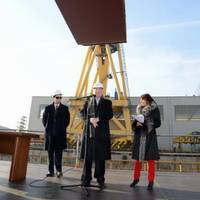 Steel was first cut for Viking Star in June 2013, and the laying of the keel is a formal recognition of the start of construction. 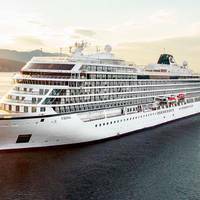 The 930-passenger Viking Star features state-of-the-art design. The company informs that it will also launch a record-breaking 14 new river vessels – Viking Longships® – in March 2014. 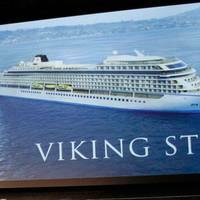 Viking Cruises launch Viking Ocean Cruises, the first new cruise line in nearly a decade. 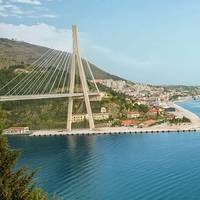 Developed from the ground up to return the focus of cruising to the destination, Viking Ocean Cruises will begin sailing in May 2015 with its first vessel—Viking Star—embarking on maiden voyages in Scandinavia and the Baltic; and the Western and Eastern Mediterranean. The company says it has aggressive expansion plans in both the ocean and river cruise categories, with a second ocean ship on order for delivery in 2016 and conditional orders and options for four more additional ocean vessels. Viking River Cruises (www.vikingrivercruises.com) set a world record with the christening of 10 new Viking Longships. “Today is a proud day for Viking and for river cruising. We are honored to showcase 10 of our revolutionary new Longships and to have had such a celebrated group of women helping us christen them,” said Torstein Hagen, Chairman of Viking Cruises. Guests at the christening ceremony enjoyed remarks by each godmother and a presentation on the growth of river cruising by Hagen. current topics with audience participation. 9:30 – 11:30 a.m. 1 – 3 p.m. 9 a.m. – 5 p.m. information. 11 a.m. Argentina. and Mar del Plata—some statistics showing the increasing growth. 2 p.m. Record (EHR). processes. management and preventative care onboard cruise ships. 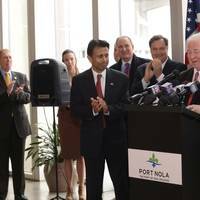 targeted to the unique challenges of the cruise ship healthcare setting. 2:30 p.m. control the equipment operations on board cruises ships. not compatible with new hardware. Revive Image System. is now possible. and the ship is free to go on with shipboard operations. 3 p.m. 3:30 p.m. walls and floors. concrete slabs. TCNA Handbook. be covered. shower assemblies will be examined. railing assemblies. 4:30 p.m. 9:30 – 11:30 a.m. A view of the shape of the industry and a look ahead. Gerald R. Adam M. Daniel J. 3 - 5 p.m.